SAIS Torridon Blog » Dry, cold and clear. 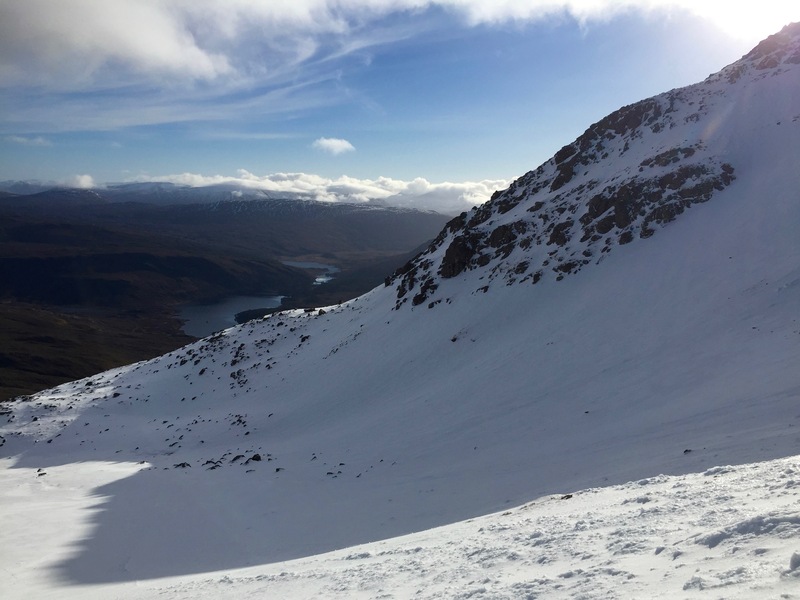 A fine day today with some bright periods with occasional summit cloud later in the day. We have a widespread surface crust now which gives hard trail breaking at lower levels but once above 550 metres the snow surface is quite hard. Crampons and ski crampons were required. There were lots of people on the hill with most car parks quite busy. 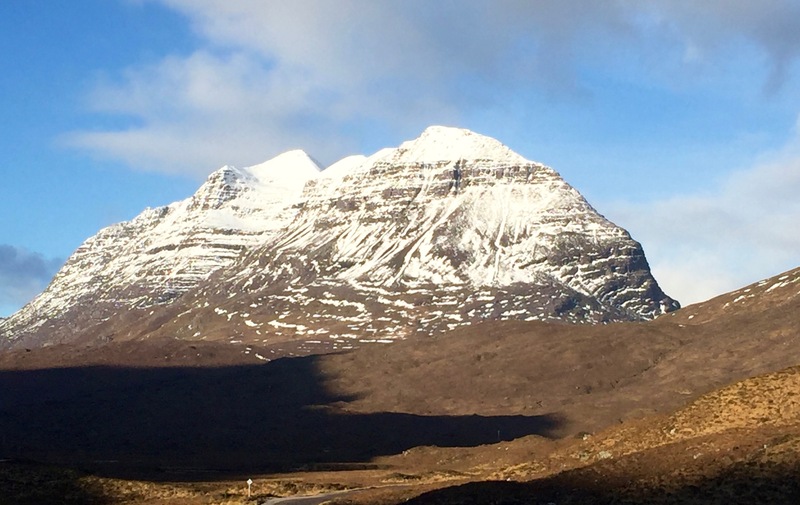 Liathach, crisp and clear this morning. Looking down over towards Loch Clair, nice snow cover. 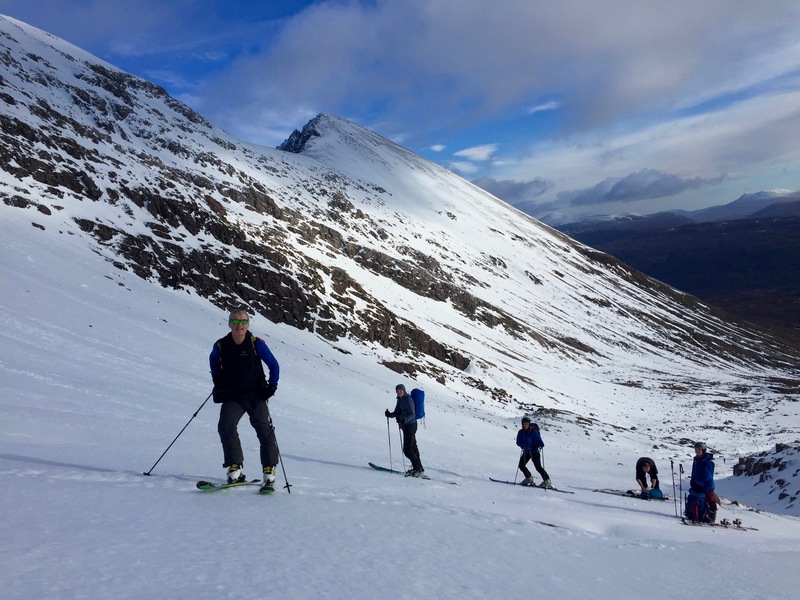 A group of ski mountaineers from the Inverness backcountry ski club. Some fixing their ski crampons on to their skis before continuing upwards. Good seeing you Sandy. A wee bit icy today but still some fun to be had. Crampons were more useful than ski crampons. Stunning views from the top.